Vague and hard to remember. Cowboy suit when I was five. With luck of various kinds, a recent Carlton premiership. Well, two I really like are ‘Eliduc’ by Marie de France, and ‘Lady with Lapdog’ by Chekhov. It’s not fictional, but I fantasise about being on the south coast of western Australia about 500 years ago. Trees and birds, and people. Weetbix is the staff of life. 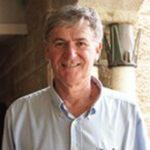 Andrew Lynch is a Professor of English and Cultural Studies at the UWA. His interests cover the literature and culture of later medieval England and ‘medievalism’, the post-medial reception and imaginative recreation of the middle ages. View Andrew’s session times here!